When was the last time you had to park in a city? Did looking for on-street parking make you late to your destination? Did you give up and spend too much money on the first garage you passed? Some people get lucky and find the perfect free spot, but most of the time urban parking is frustrating and expensive. This is why you need a parking tool that can find you your ideal parking spots in your neighborhood and we have just the one. ParqEx is a great community-based parking marketplace that is currently growing in popularity on both of the Android and iOS platforms. 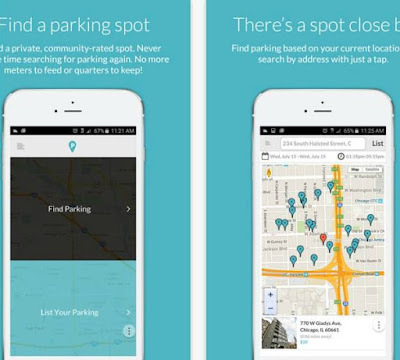 This enormous private parking inventory app is developed by ParqEx LLC and compatible with iPhones, iPads, Android phones and Android tablets. Besides, it is pretty simple to use, with clean and straightforward interface. Basically, the ParqEx app lets its users find and book parking spots from private owners and at the same time it lets parking spot owners earn money by renting their parking spots when they’re not using them. How useful and convenient, right? All you have to do is download the app, find your ideal place within the map or by entering an address, talk to the owner and rent it! Also, if you want to rent a parking spot, it is up to you to whom you will rent your spot to and when. You will receive your money on your account at the end of each week. Start enjoying your driving, get rid of the parking frustrations, download ParqEx for free from Google Play or from the App Store now!